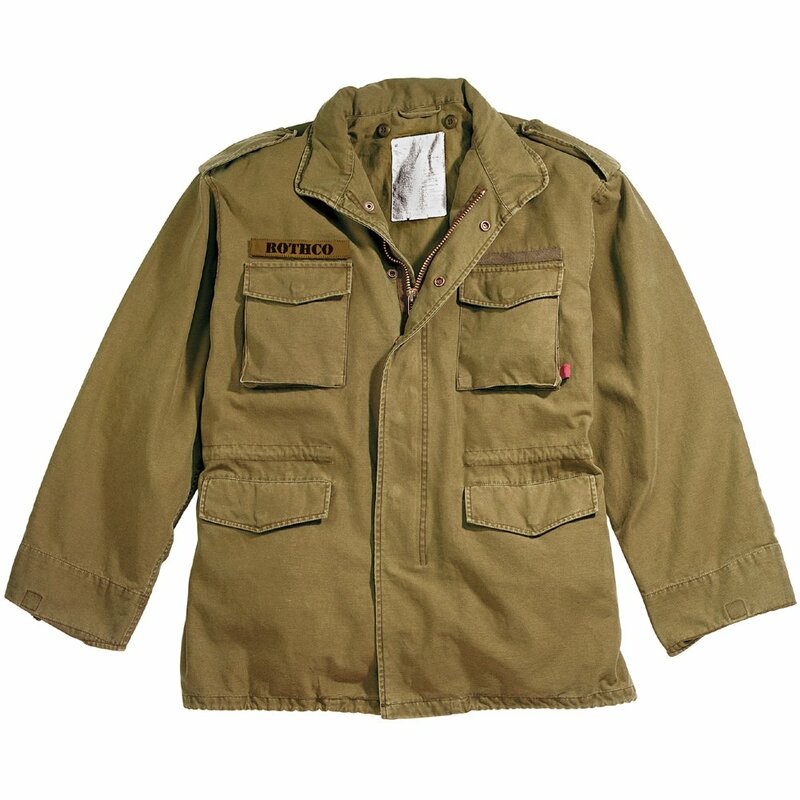 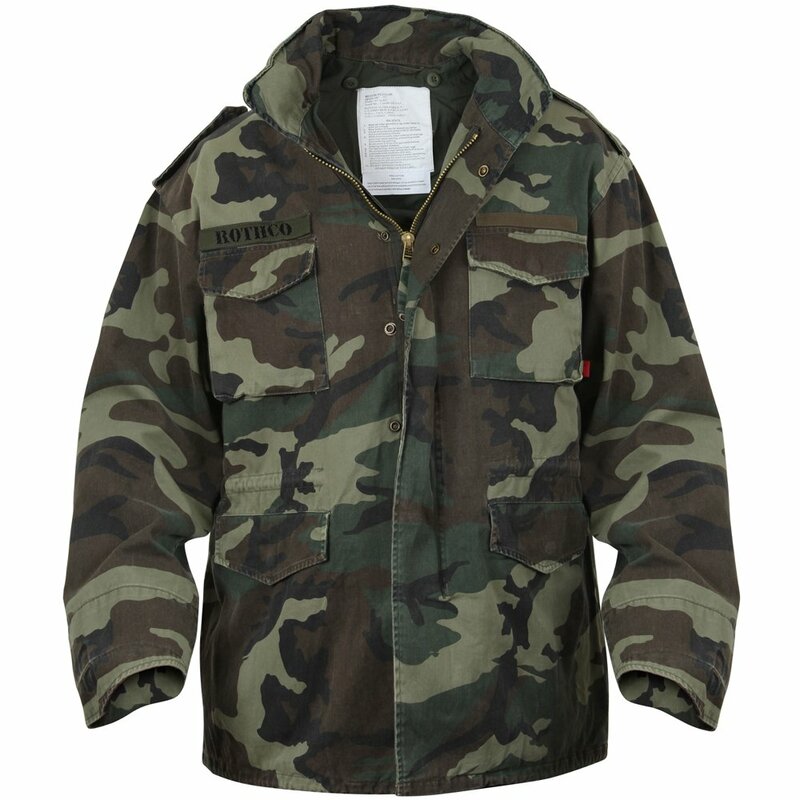 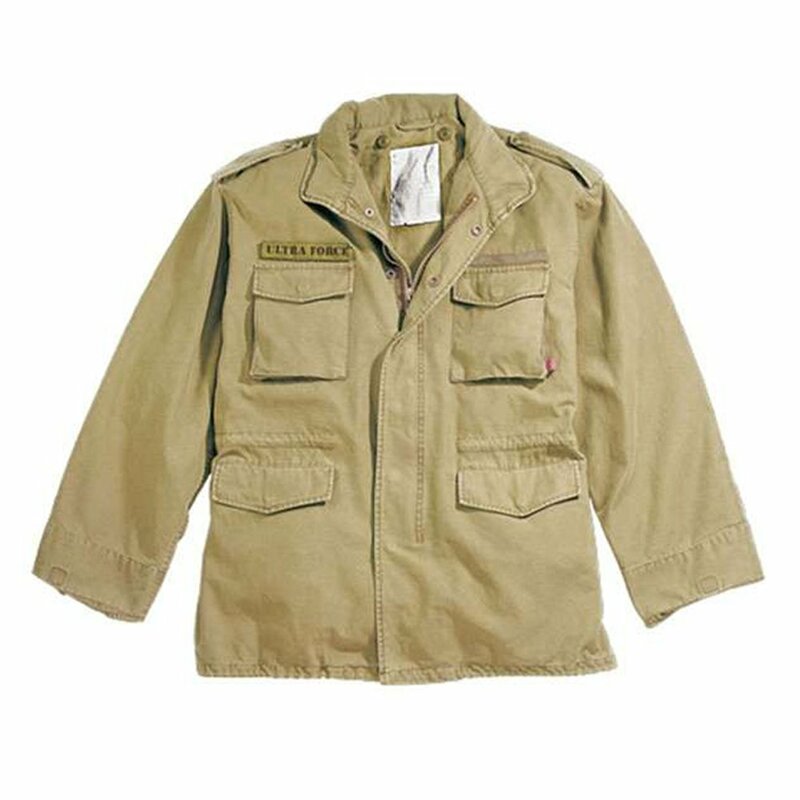 Camouflage Vintage M-65 Field Jacket looks attractive in camouflage design. The jacket has an outer shell and inner lining made of 100% cotton. The jacket is soft and smooth on skin and it is very durable. 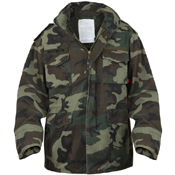 It has concealed hood with drawstring. 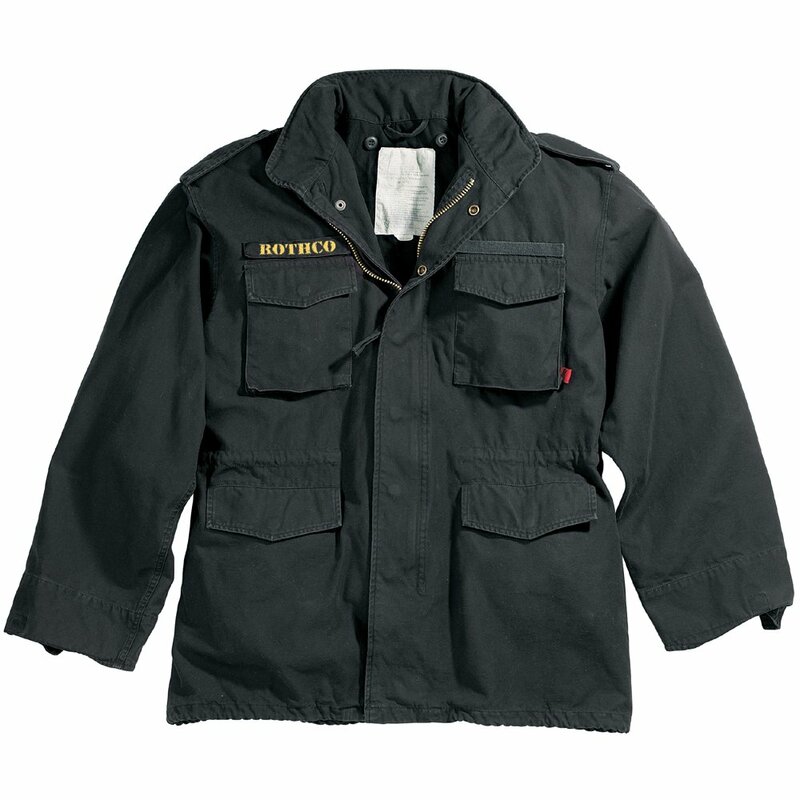 It comes with a hook and loop chest tabs. On the right chest there is Ultra Force Velcro tab which is detachable. 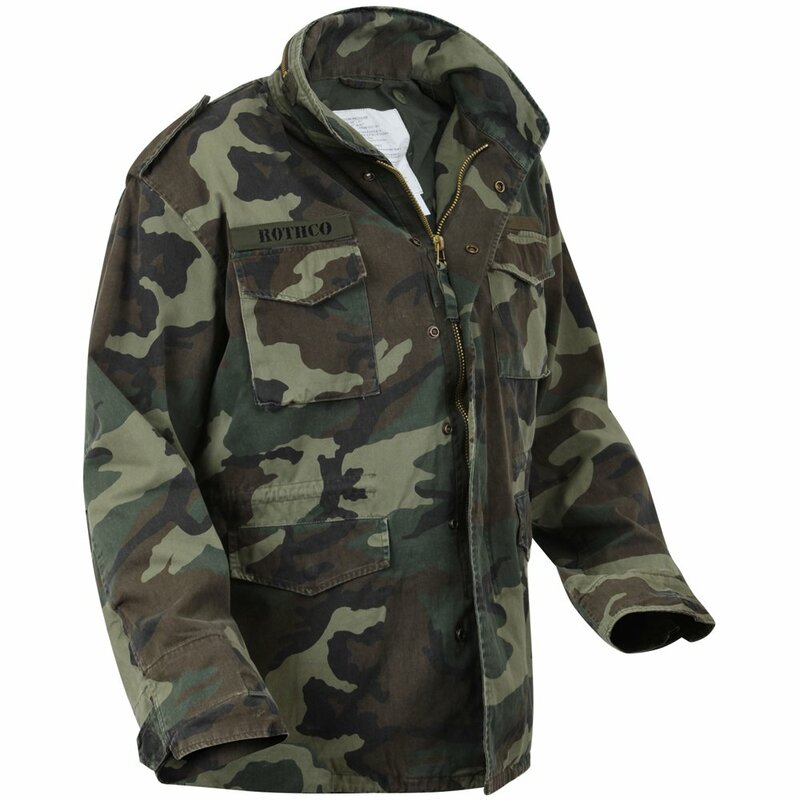 The left chest has plain branch tape in camouflage. 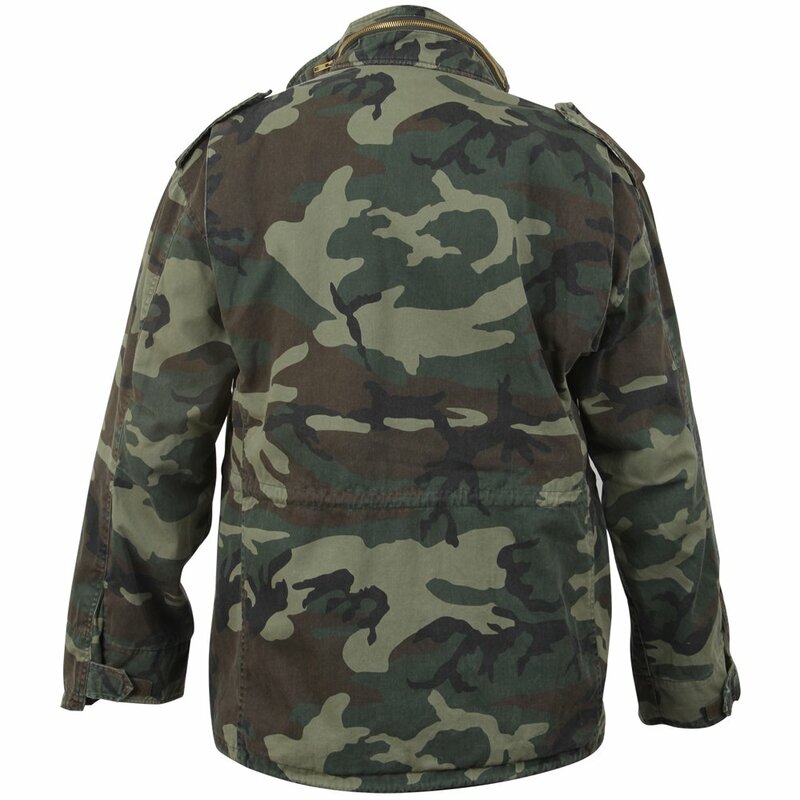 Bottom and waist drawstring makes it more comfortable to wear. The jacket has heavy brass zipper on the front with snap up flap. 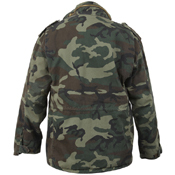 It does not have separate nylon lining.